Cochlear hearing implants were introduced in 1985 to restore certain kinds of deafness. There has been controversy swirling around the technology. The deaf community saw cochlear implants as a threat to their culture. 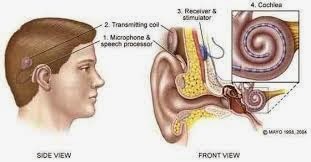 One website raised the questions: "Does the cochlear implant pose a serious threat to deaf culture? Can people with the implant function effectively as members of the hearing world?" particular, they objected to the choice being made on behalf of young children to insert the implant. These critics reject the very idea of trying to ﬁnd a “cure” for deafness. Indeed they have compared it to genocide. 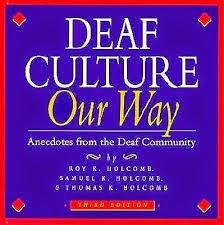 They argue that deaf people should not be thought of as disabled but as members of a minority cultural group." I was puzzled too. Yes, I understand and respect that there are dynamic deaf cultures. As a member of the larger disability community, I recognize that identification with distinct groups of people within the greater society is good and necessary; but we must always recognize a goal of bridging special groups to the greater society. It is wrong to willfully remain disabled and isolated from the larger society. The proper goal must surely be to restore or integrate. It is foolish to refuse to acknowledge a normal standard of ability to which people with disabilities (not just deafness) must try to reach if possible and ethically offered to them. Let me be clear: I understand that it is healthy for a person with a disability to accept their situation and strive to thrive. They must develop a self-image that includes their disability. I understand this and have incorporated this acceptance into my own life. However, it is also right and responsible to take advantage of medical or technological advances that are restorative or adaptive for people with disabilities. It is irresponsible and wrong for disability communities to rail against advances that are made available. To utilize advances is not a rejection or repudiation of specific minority cultural groups, but it may open avenues of connection to the larger community. Parents of deaf children have a responsibility to seek measures for their children that will help them to engage more fully in society. The Common Good recognizes communities within the community. As I mentioned in an earlier post, the Catholic Church has much to say about human social responsibility and the Common Good. It teaches that the common good is to be understood as "the sum total of social conditions which allow people, either as groups or individuals, to reach their fulfillment more fully and easily. The common good concerns the life of all." 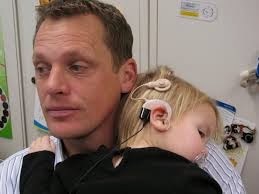 Perhaps advocates of the deaf community opposed to cochlear implants will respond, "Precisely! The deaf community can achieve its fulfillment for easily and fully within the deaf community." My rebuttal would be that the "sum total of social conditions" extends beyond the deaf community. Connections to the whole of society must be sought and exercised. Deaf adults may choose to remain within the the boundaries of deaf community -- but deaf children cannot make that choice. Their parents act on their behalf and they have a responsibility to open every door of possibility for their children. Do not construe cochlear implants as rejection of deaf culture rather opening new horizons previous unattainable or compromised, especially for children. 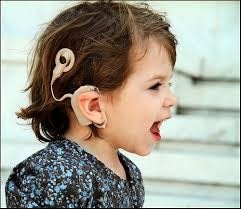 Please click on the link below to a 9 minute video produced by Choices Delaware.org about children with cochlear implants. David Sparrow, "Defending Deaf Culture; The Case of Cochlear Implants", The Journal of Political Philosophy: Volume 13, Number 2, 2005, pp. 135–152. 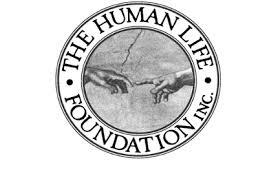 I use the word "ethical" because therapies or cures that involve immorality such as involuntary experimentation or the use of embryonic stem cells, should be rejected. I would reject any therapy for MS involving treatments derived from embryonic stem cells that involved the taking of another life. CATECHISM OF THE CATHOLIC CHURCH, No. 1906.
WHO AM I THAT GOD WOULD CARE ABOUT ME? WELL DONE DOVE SOAP CORPORATION!